SolidWorks Sustainability provides a screening-level life cycle assessment (LCA) of the environmental impacts of your full design, with seamless integration to your design process. It includes the diverse tools of Sustainability Xpress (parts assessment, alternative materials search, and environmental impact dashboard) with additional capability to assess both parts and assemblies, using parameters such as transportation mode and distance, assembly energy, and use-phase energy consumption. Flexible inputs, such as recycled content level and end-of-life scenarios, enable more detailed assessments. You can even perform time-dependent environmental comparisons using the varying lifetimes of different design solutions. 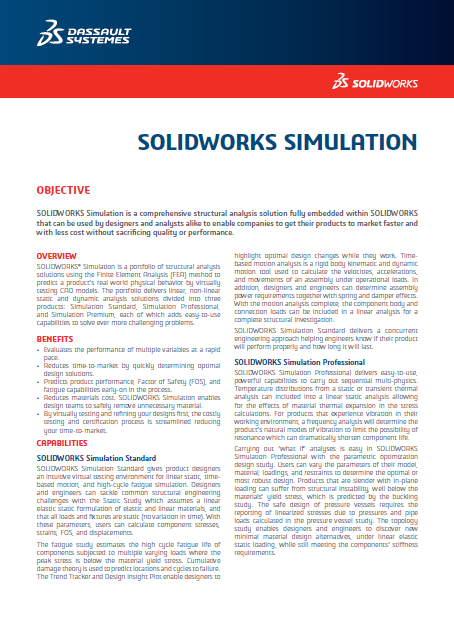 SolidWorks Sustainability uses the gold-standard GaBi LCA environmental impact database from PE International. You can download updates as they become available, and even request new LCA datasets for your custom materials and processes as a premium service in partnership with PE International. Listed below, are some of the powerful features that SolidWorks Sustainability users benefit from. With the addition of standard part libraries, utilities that will search for design errors, fasteners and tools that will automatically estimate your manufacturing costs, the capabilities are endless. If you would like to know more or have any questions, please use the box below. 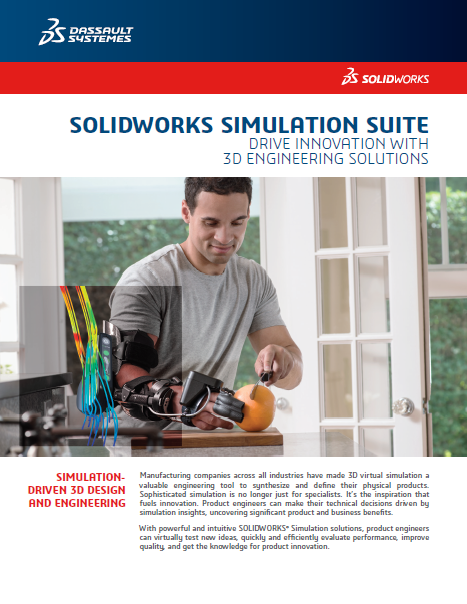 SolidWorks Sustainability provides actionable environmental results by measuring the environmental impacts of individual designs across the product life cycle—including the effects of material, manufacturing, assembly, and transportation. Using industry-standard life cycle assessment (LCA) criteria, the software generates instantaneous feedback at a fraction of the time and cost of a typical assessment. In addition to helping you reduce production costs and develop greener products, environmental assessment can lower the total cost of ownership (TCO) of your products by evaluating potential transportation, usage, and disposal effects.